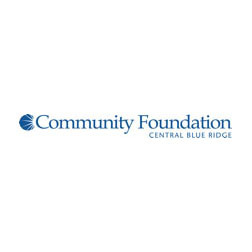 The Community Foundation of the Central Blue Ridge awarded a record $1.5 million in local grants, scholarships, and awards in 2018. This amount represents a 36% increase over the prior year. 2018 also marked the first year in which the Foundation presented scholarships in excess of $100,000. During 2018, the Foundation presented 355 grants to 194 nonprofit organizations, 60 scholarships to graduating high school seniors and adult learners, and 20 cash awards to individuals through its Dawbarn Education Awards and Smyth Education Awards programs. To make these decisions, the Foundation utilized 113 volunteers from the community to review grant submittals, scholarship applications, and award nominations. The Community Foundation of the Central Blue Ridge is now the largest grant maker in the Staunton/Waynesboro/Augusta area. Total charitable assets under management currently exceed $25 million. Since it was established 26 years ago, the Foundation has distributed more than $11.5 million in grants, scholarships, and awards. In 2018, individuals, families, businesses, and organizations contributed over $1 million to the Community Foundation to establish several new endowed funds and supplement many existing funds. Partnered with Cadence Inc. to develop a new Computer-Integrated Manufacturing and Fabrication Lab at Valley Career & Technical Center. Partnered with the Office on Youth to fund the first “Youth Needs Assessment” for the Greater Augusta region in more than ten years. Established in 1992, the Community Foundation is a growing collection of more than 130 charitable funds established by individuals, families, businesses, and organizations. Through the Community Foundation, donors are able to create a customized fund that supports the impact they wish to have upon our community and continues its good work in perpetuity under the Foundation’s care.